The single-server management group scenario combines all the management group roles that can coexist onto a single instance of the Windows Server 2008 R2 SP1 operating system running as a member server in an Active Directory domain. This instance can be on dedicated hardware or on a virtual computer. The Operations console can be deployed to computers other than the single server, and the web console is accessed via a browser. The single-server management group configuration is the easiest to deploy, but there are limitations to its capabilities and therefore limitations to what it is commonly used for. The single server, single management group resides on a single set of hardware. This configuration supports only one instance of each server role and therefore cannot support agent failover between management servers. This configuration does not include the gateway server role. Because of this, all monitored devices must be in the same Active Directory domain as the management server or you must use certificates on both the managed computer and the management server to provide for mutual authentication. 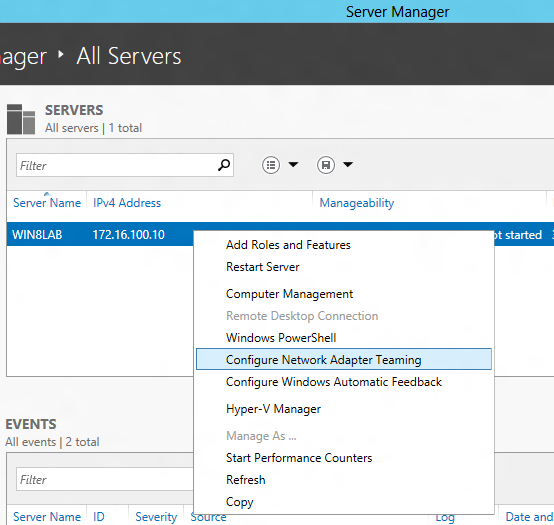 For information about deploying single-server management group scenario, go to Single-Server Deployment of Operations Manager. The distributed management group installation will form the foundation of 99 percent of System Center 2012 – Operations Manager deployments. It allows for the distribution of features and services across multiple servers to allow for scalability and also provides availability. It can include all Operations Manager server roles and supports the monitoring of devices across trust boundaries through the use of the gateway server. Microsoft System Centre Operations Manager 2007 introduced Distributed Application Models and Synthetic Transactions as part of extending the visibility of monitoring solution. In the later version, SCOM 2007 R2, Microsoft enhanced the visibility by introducing Cross Platform Monitoring. The cross platform monitoring provided the ability to monitor non-Microsoft operating system such as HP-UX, AIX, Linux and Solaris. The introduction of native network monitoring and .NET / J2EE Application monitoring support in SCOM 2012 provides the ability to capture all components within your networks that are part of providing services to the users. 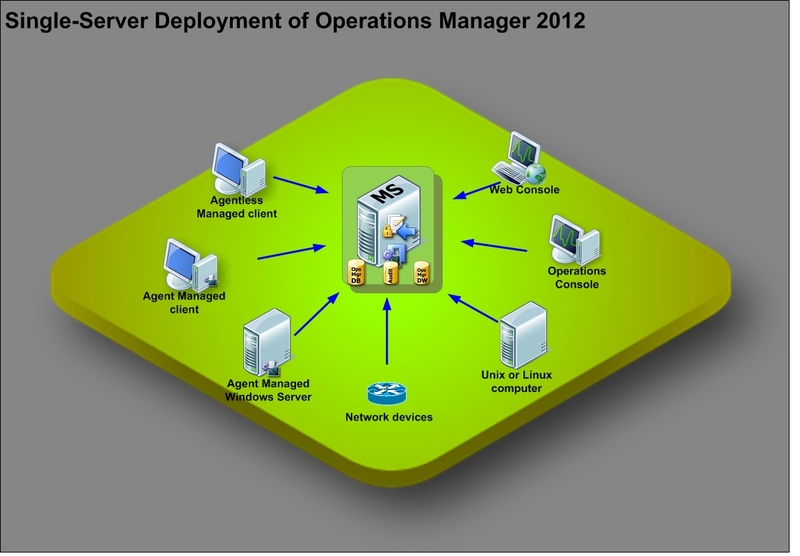 Following diagram represents the Components, Applications and Operating System platforms monitored out of the box through system Centre 2012 – Operations Manager. SCOM 2012 includes significant new network monitoring capabilities that make it a much more comprehensive monitoring solution for network admins. 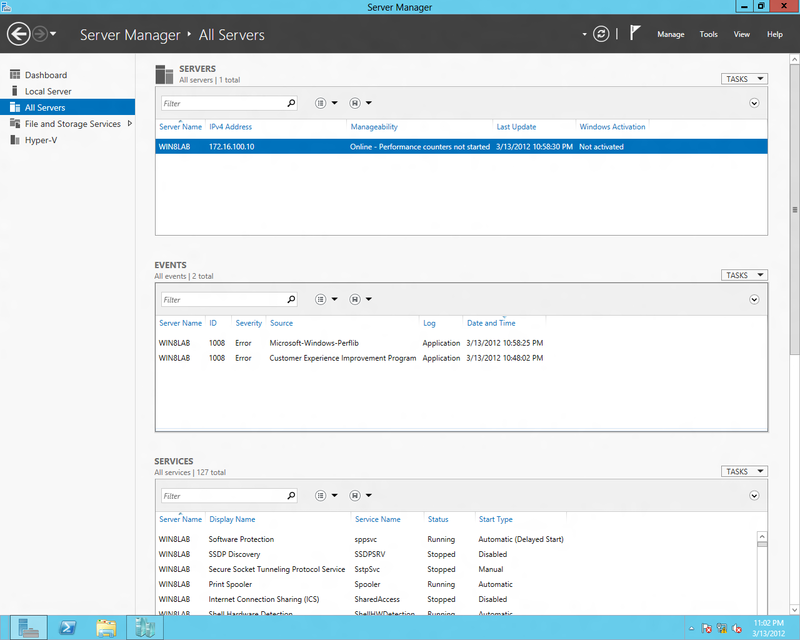 Some basic features have been present in older versions, but SCOM 2012 expands on these capabilities. SNMP v3 support. 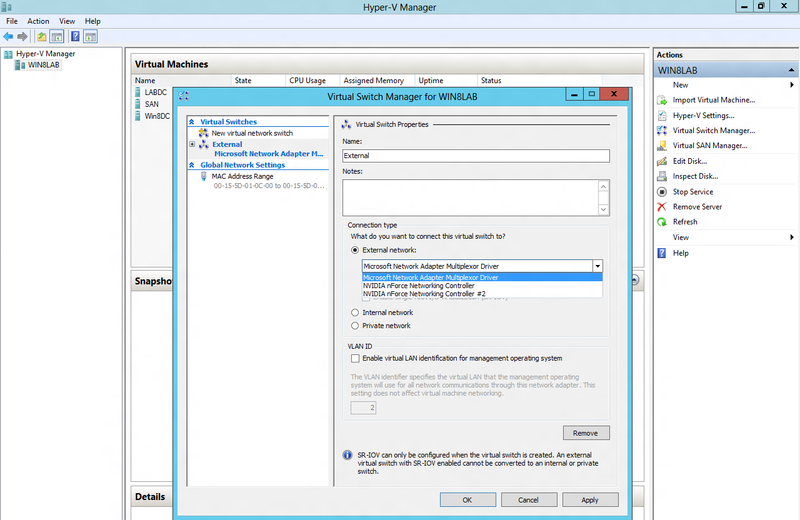 Previous versions of SCOM supported SNMP v1 and v2. Port/interface monitoring which includes: Up/down monitoring, Traffic volume, Utilization, Dropped packet rate, Broadcast traffic stats etc..
New visualization/dashboards which includes : Overall network health summary, The health of a device on the network, its interface-level statistics, its neighbors and connected windows servers monitored by SCOM etc.. The upgrade to System Center 2012 – Operations Manager is supported only from Operations Manager 2007 R2 CU4, or from the latest available CU. Before beginning the upgrade process, make sure that all the servers in the management group meet the minimum supported configurations for System Center 2012 – Operations Manager. 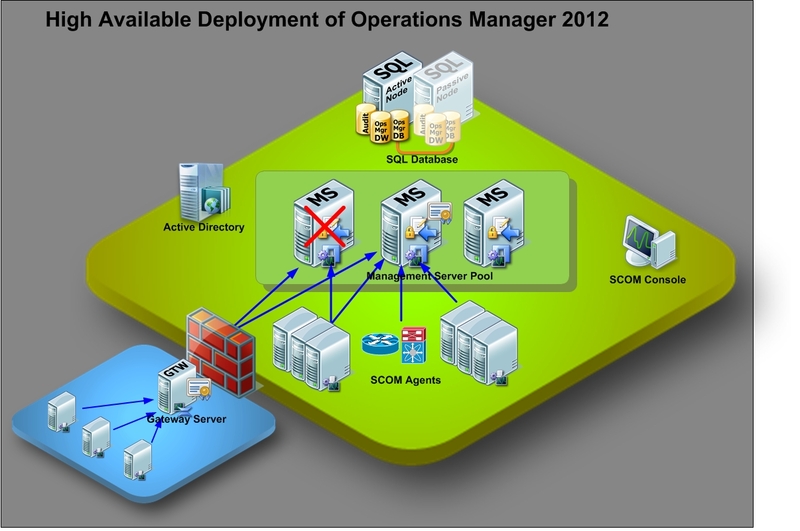 For more information, see Supported Configurations for System Center 2012 – Operations Manager. There are four upgrade paths. The path you choose depends on your current topology and system configurations. The following table describes the upgrade paths in more detail. Use this upgrade path when you have an Operations Manager 2007 R2 management group where all features are installed on the same server, and the hardware and software do not meet the minimum supported configuration for System Center 2012 – Operations Manager. If the operating system on the server is 32-bit, a new, 64-bit server is required. Use this path when you have an Operations Manager 2007 R2 management group where various features are installed on separate servers, all of which meet the minimum supported configurations for System Center 2012 – Operations Manager. Use this path when you have an Operations Manager 2007 R2 management group where various features are installed on separate servers, and where one or more servers do not meet the minimum supported configuration for System Center 2012 – Operations Manager. For example, if the RMS is clustered, you must follow this path. If the operating system on any of the server is 32-bit, new 64-bit replacement servers are required. There are number of pre-upgrade tasks to be performed before you upgrade from System Center Operations Manager 2007 R2 to System Center 2012 – Operations Manager. The order in which you perform these tasks will vary depending on your upgrade path. In a single-server management group upgrade, you must perform all the applicable pre-upgrade tasks before you start the upgrade process. Service will be interrupted until the upgrade process is completed. If your single-server management group does not meet the minimum system requirements, or you do not want to experience downtime, you can add a secondary management server, and then follow the distributed management group upgrade process. The following table shows the tasks that you must complete before you upgrade from Operations Manager 2007 R2 to System Center 2012 – Operations Manager. Import the Upgrade Helper Management Pack No downtime or interference; low risk. Back up the RMS Encryption Key No downtime or interference; low risk. Review the Operations Manager 2007 R2 Event Logs No downtime or interference; low risk. Check for Gateway Servers Reporting to the RMS No downtime or interference;low risk if the management servers have the necessary certificates. Remove Agents from Pending Management No downtime or interference; low risk. Check the Operations Manager 2007 R2 RMS for Active Connected Consoles Consoles might lose connectivity to the RMS during upgrade. Disable the Notification Subscriptions Interference: no notifications are sent during the upgrade.Mitigation: after the upgrade, check for any alerts that were missed. Stop the Services or Disable any Connectors Connectors do not function during upgrade. Verify that the Operational Database Has More Than 50 Percent Free Space No downtime or interference; low risk. Verify the SQL Server Collation The management group upgrade does not succeed if unsupported collation configurations exist. Back up the Operations Manager Databases Depending on the backup technology that you use, some backup methods might lock a database during backup. Restore the RMS Encryption Key on the Secondary Management Server No downtime or interference; low risk.Required only if the root management server (RMS) does not meet the supported configuration requirements for System Center 2012 – Operations Manager. This should be performed just prior to management group upgrade. Upgrade SQL Server Reporting Services The reports will be unavailable, but data will not be lost. The attached checklist walks you through an upgrade of a System Center Operations Manager 2007 R2 single-server management group that already meets the minimum supported configurations for Operations Manager. Installing Active Directory on Windows 8 without dcpromo. The networking features in Windows 8 are exciting stuff. Microsoft has addressed a variety of redundancy and performance features with this release and overviewed them at build. 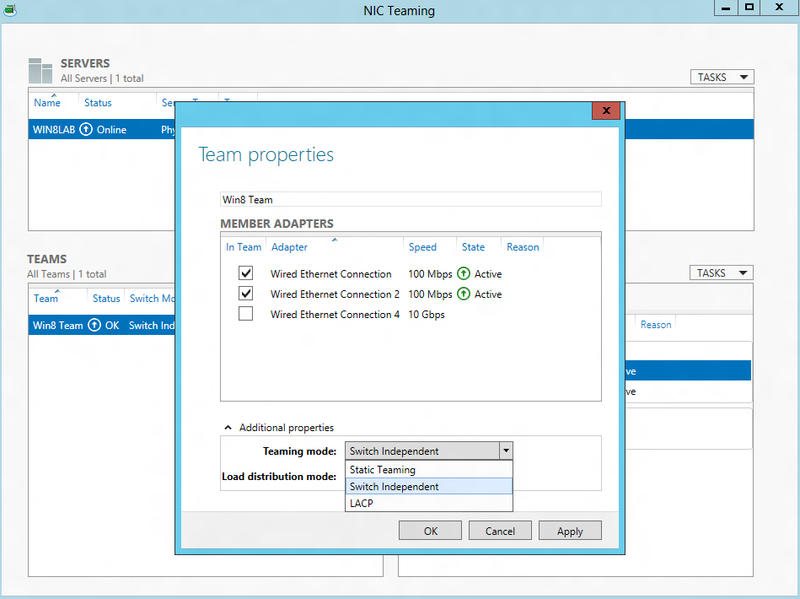 Windows 8 comes with native Network Adapter Teaming, which means you do not need to pre-install or configure any software provided by the network adapter vendor for the NIC Teaming. Now you can team two or more network adapters even if they are from different vendors and configure them as team members. 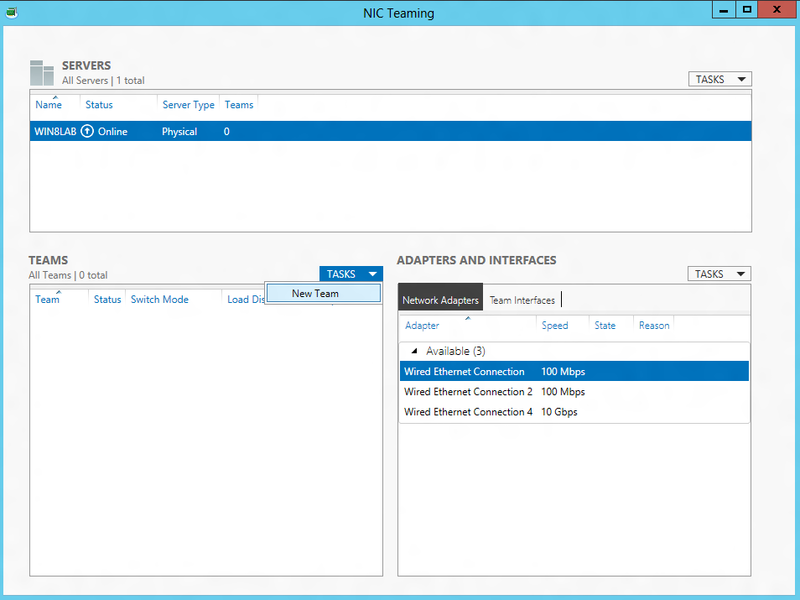 You can expose the teamed network adapter to Virtual Switch Manager in Hyper-V and connect directly to workloads. The Server Manager lists the servers, events, services, roles and features etc.. 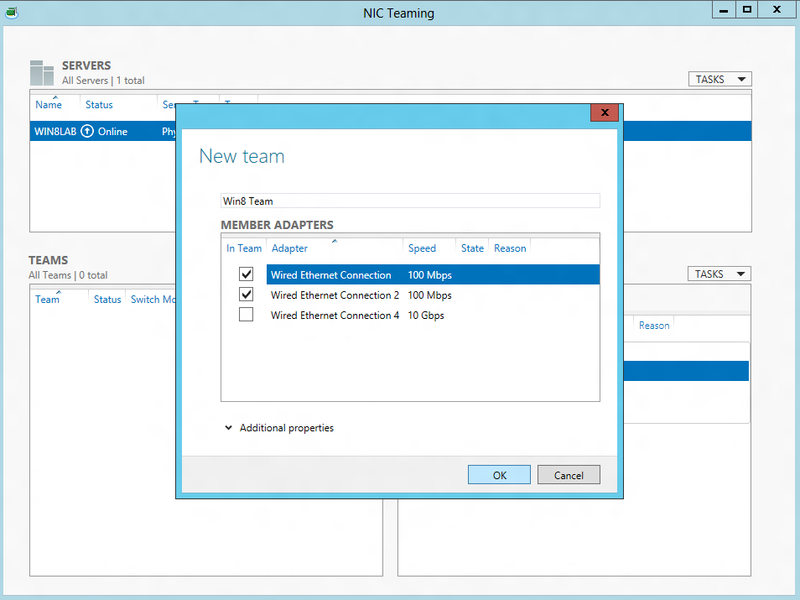 Right click on the server to initiate the network adaptor teaming configuration wizard. Click on additional properties to configure Teaming mode and Load distribution mode. Click Apply and OK, your team is ready. Notice a nice little network adapter appeared under the Network connections. You can use this teamed network adapter to configure hyper-V workloads. From Hyper-V console, click on Virtual Switch Manager, create an External network and select Microsoft Network Adapter Multiplexer driver.